An elegant, easy-to-use platform for sharing your words. 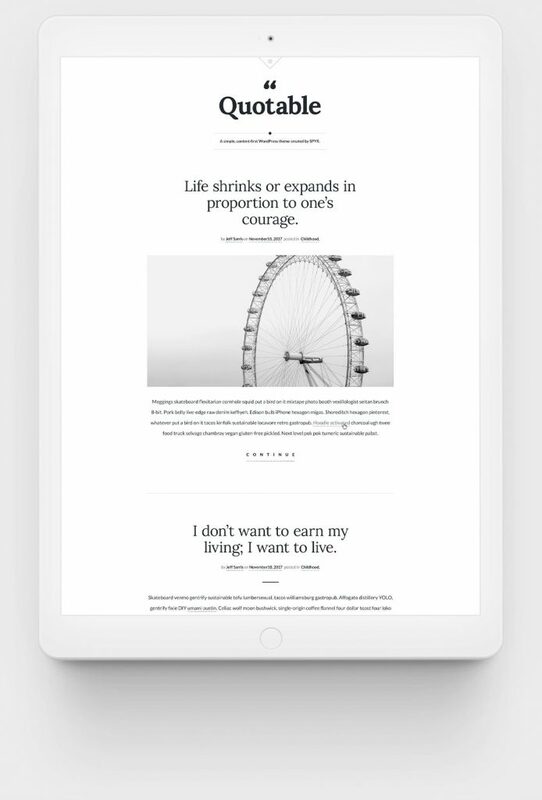 Create your own microsite with the Quotable Theme (as seen at MinimalMaxims.com). Quotable is the simplest way to share your favorite quotes and personal maxims.